The finished toy size is approximately 10” (24cm) tall. 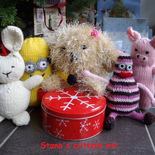 It is very simple pattern, knitted in the round, very little sewing required. 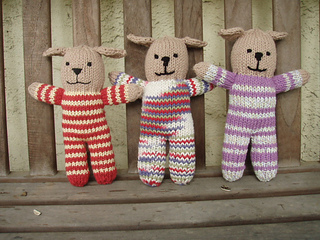 You will need less than a ball of yarn of each,the body and head color, and one or two colors for the PJ.